Your pet’s health is our number one priority. 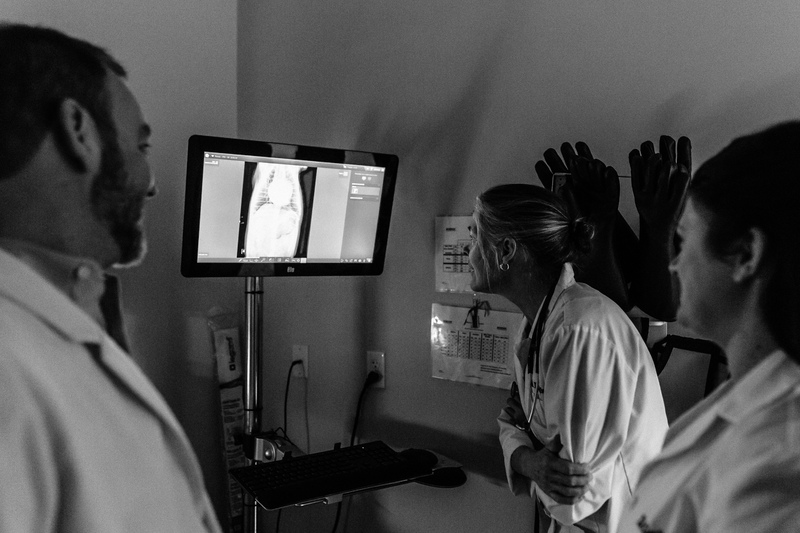 Our state of the art diagnostic imaging services help us to accurately and promptly treat our patients. The veterinarians at Wilbraham Animal Hospital use only the best equipment in the field to make sure that your pet lives a healthy lifestyle. We have the top digital x-ray equipment on site which allow our veterinarians to quickly and accurately diagnose your pets. Ultrasound technology helps us to see the internal organs of your dog or cat. Wilbraham Animal Hospital offers an on-site laboratory that enhances our ability to accurately diagnose your pet’s disease. Heartworm, Lyme, Ehrlichia, and Anaplasmosis are all diseases that can gravely affect your dog. Passed to our beloved pets through pesky insects, we have the ability to test your animals and get the results within minutes. We haven’t forgotten about our feline friends either. We can run blood work to determine if your cat has feline leukemia or feline infectious virus while you wait. Wilbraham Animal Hospital’s experienced veterinarian staff can run lab work for critical animal care, diabetic, geriatric, thyroid, and Cushings cases just to name a few. In addition, microscopy is used for testing feces, urine, blood and evaluating tumors. We have the ability to help our canine and feline friends in all stages of their lives.